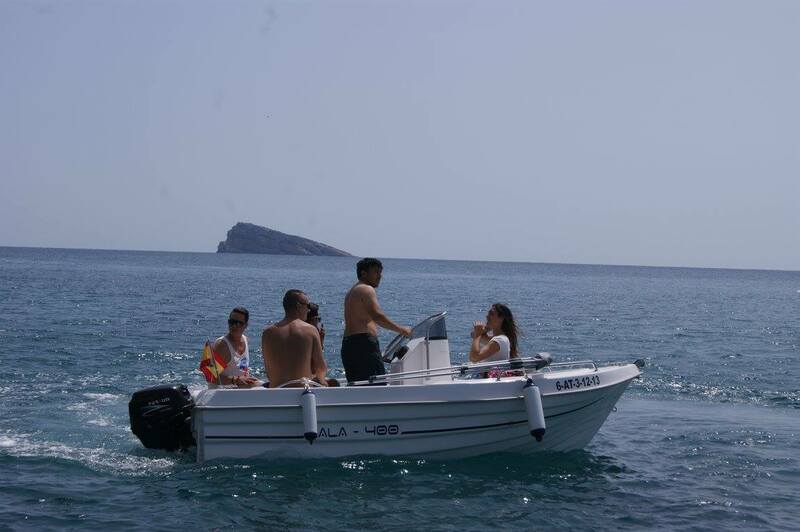 Why not hire a five person motor boat and discover some of the local coves for yourself, and even head over to Benidorm Island. The boats have 15hp engines and are around 4 meters in length. Prices include fuel. Snorkeling equipment is available for hire for 10,00€ per person. You don’t need any special licences and no experience is neccessary as the instructors will show you all the controls before you head off on your adventure! Fantastic for families or for groups of friends looking for a unique way to make some holiday memories! The person sailing will need to provide an original passport for insurance purposes. A breakage deposit of 100,00€ is payable on collection, which is refunded on the safe return of the boat. 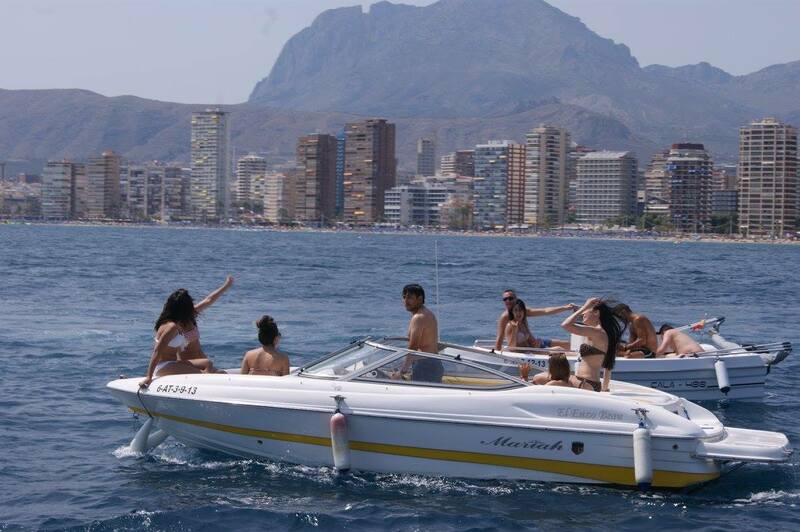 The meeting point for boat collection is the "club naútico" (yaught club) in Benidorm’s old town harbour. If you have a boating licence then you can hire a larger, more powerful boat if you wish. Please contact us for details.